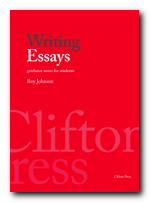 >> Home / Writing Essays (.pdf) / What makes a good essay? No matter how interesting or well-written an essay, you will not be given any credit for your efforts unless it answers the question that was set. Your argument and evidence must be relevant to the question. This is the most important feature of what makes a good essay. It must deal with the subject or the topic(s) posed in the question rubric. Your answer should demonstrate that you have understood what the question is asking for, that you have grasped its key terms, and that you have followed all its instructions. An essay should be like a good piece of architecture – built on firm foundations to carefully made plans. The points of your argument should be arranged in some structure which is logical and persuasive. If you are dealing with a number of issues, the relation between them should be clearly explained. The connections between each stage of your argument and the original question should be evident throughout the essay. For an academic essay the third person (‘he’, ‘she’, or ‘it’) rather than the first person (‘I’) is a more preferable style. Occasional use of ‘I’ may be acceptable if a personal opinion has been specifically requested. You should keep your audience in mind. Try to imagine that you are addressing someone who is intelligent and reasonably, but not necessarily well-informed in the subject. Remember that your writing should be grammatically accurate. Poor punctuation and weak sentence construction will create a bad impression. Mixed tenses and metaphors should be avoided. Spelling mistakes should be corrected. Essays should not be just a series of unsupported assertions. You need to provide some evidence to support them – either in the form of factual details, your own reasoning, or the arguments of others. You should always reveal the fact that you are using someone else’s ideas. Provide attribution by using a system of footnotes or endnotes and accurate referencing. Never try to pass off other people’s written words as your own. This is called plagiarism – a form of intellectual dishonesty which is severely frowned upon in academic circles. One of the hallmarks of a good essay is that it demonstrates clarity of thought. This may be your ability to identify different issues and discuss them in a logical manner. It may mean organizing materials into a coherent structure for the essay. It could be showing that you are able to make important distinctions and insights. This may not come easily at first, but with practice it should be possible to gain greater clarity through discipline, selection, and planning. 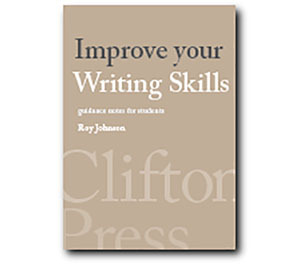 Essays are often set to encourage and direct your reading in a subject. If you show that you have read widely and thoroughly understood the subject you are discussing, you will be demonstrating your competence. The best essays are often produced by people who have taken the trouble to acquaint themselves both with the principal ‘set books’ and with secondary works of commentary and criticism as well. They will often show evidence of intellectual curiosity which has taken them beyond the bounds of what has been prescribed as a minimum. An essay will be rewarded with a good mark if it competently reviews all the well-known arguments in a subject and reaches a balanced conclusion. The highest grades however are often given – deservedly – to essays which display something extra. This may be a demonstration of original ideas or an unusual, imaginative approach. Such essays usually stand out because of their freshness and the sense of intellectual excitement they convey. But remember that you are not usually required to be original. Your tutor(s) will be perfectly satisfied if you simply answer their essay questions in a sensible and competent manner.